When the Audience Awards partnered with GoDaddy last year to launch a new national video contest aimed at promoting small businesses, the Missoula-based company didn’t know it would end up on a separate list of firms to watch in 2017. 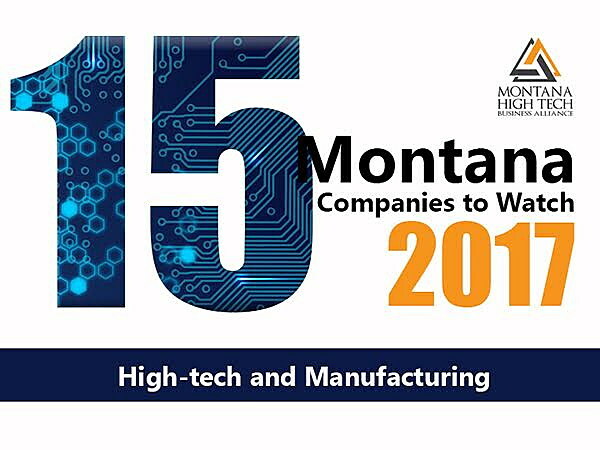 The Montana High Tech Business Alliance has named the Audience Awards, founded by Paige Williams, as one of 15 promising Montana companies to watch this year. Of the 15 on the list, five are based in Missoula. Christina Henderson, executive director of the MHTBA, said the recognition is designed to raise the visibility of the state’s growing tech and manufacturing industries, along with jobs in the sector that need to be filled. To form this list, Henderson said the MHTBA sought startups and growth companies either founded or headquartered in Montana. To make the list, they had to demonstrate steep revenue growth and have received notable investment by a venture capitalist or angel investor. Other qualifiers included the ability to launch high-potential products or services, and demonstrate plans to expand operations or add jobs this year. Despite their early success, the businesses are often hard to see, operating under the radar of the communities they call home. Outside the occasional media report, few Missoula residents have heard of Clearas Water Recovery, LMG Security or Orbital Shift – three local firms that made the list. Henderson said the MHTBA looks to raise their profile, pushing the companies’ brand and success beyond the state in hopes of attracting more investors. The state’s venture capital scene underwent a seismic shift in 2015 when Next Frontier Capital launched in Bozeman. It represented the state’s first venture capital fund at $20 million. Of the six companies funded by the firm thus far, three are in Missoula, including Orbital Shift, Clearas and Submittable. Efforts to create other venture capital funds are underway, including Montana Innovation Co. in Missoula, which looks to provide $2.4 million in seed funding to qualified startups. Noting Montana’s “businesses to watch” could bring other benefits as well, Henderson said. According to a 2016 survey conducted by the Bureau of Business and Economic Research at the University of Montana, the state’s high-tech and manufacturing firms are growing seven times the overall Montana economy, and they’re paying twice the median wage. The top challenge for the state’s growing tech industry is simply finding skilled talent and accessing capital, Henderson said.